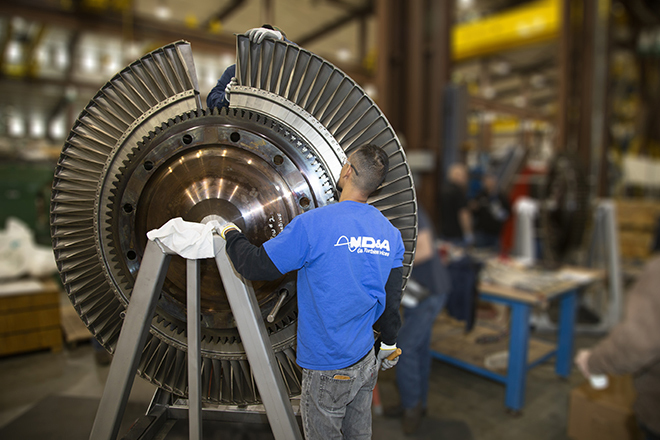 MD&A offers full capabilities for your gas turbine rotor maintenance and end of life assessment. 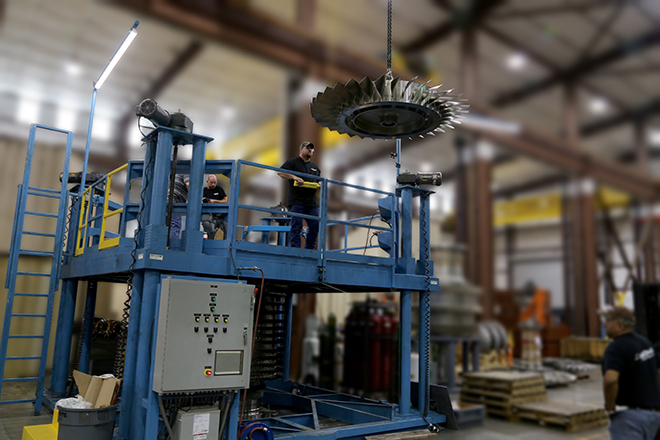 Our one-stop shop, Turbine-Generator Repair facility in St. Louis, MO is fully equipped with overhead cranes, 100 ton lathe, and all support equipment for inspections and repairs. 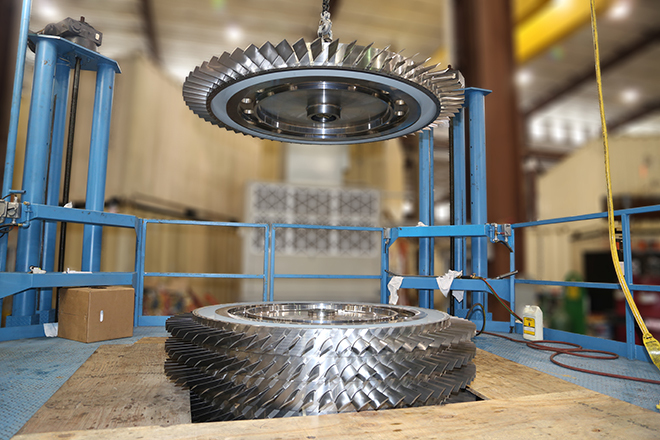 It also has an elevator system to perform a full gas turbine rotor and compressor unstack and stack. 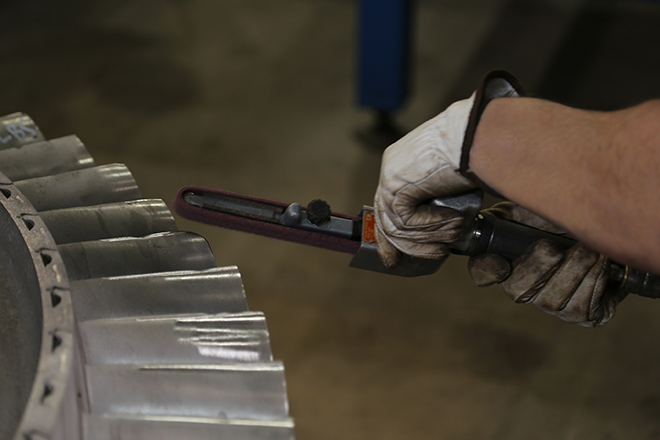 Our talented and experienced team has full capabilities for blading, machining, re-bucketing and more. 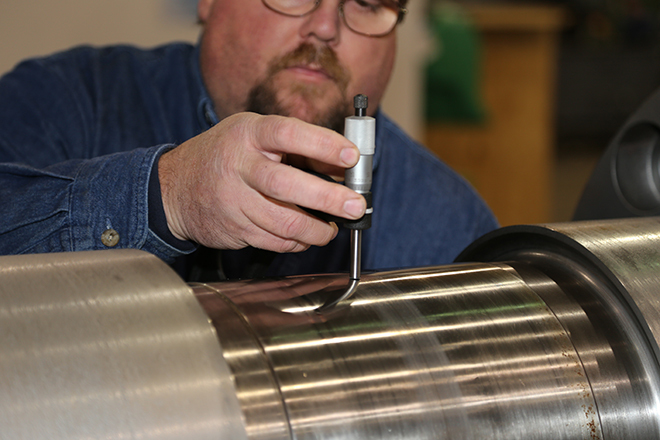 Our engineers strictly follow effective, time-tested principles that produce sound and superior repair solutions.